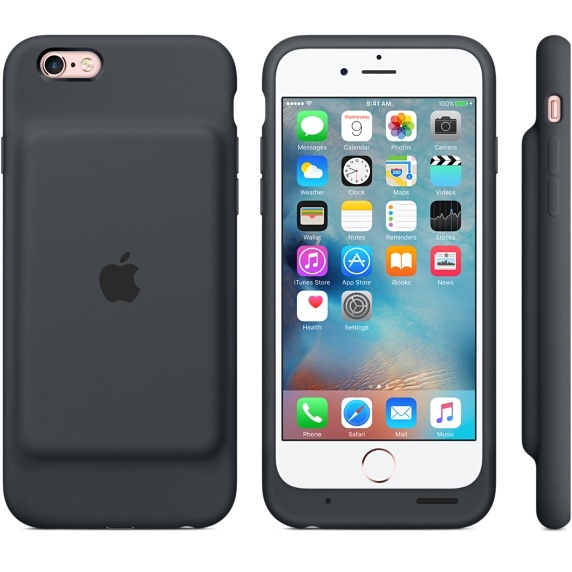 Apple has today quietly launched a new iPhone 6s Smart Battery Case that will extend the device’s talk time by up to 25 hours, and internet use with up to 18 hours on LTE. The battery case looks like the silicone case Apple offers for these devices, but the first thing you’ll notice is that the case has a noticeable bump (via Pocket-Lint). 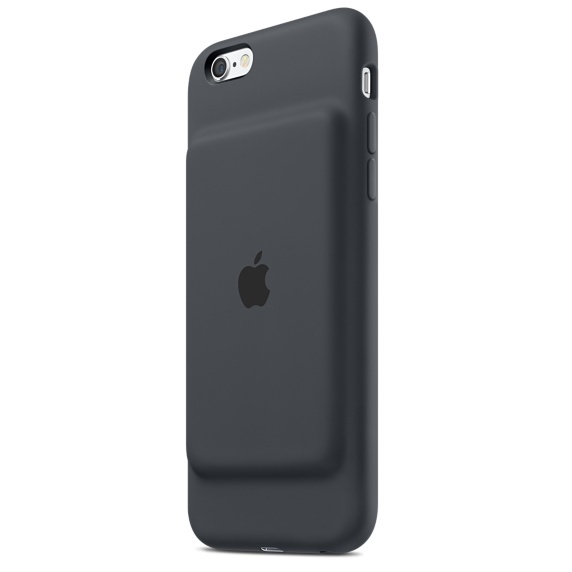 This is the first official battery case designed by Apple and is available in Charcoal Grey and White. The case retails for $129 (CAD) which compares to $99 (US) and is available to ship in 1-3 business days with free shipping, although you can also pick it up at an Apple Store. The Smart Battery Case incorporates a 1,877 mAh battery pack, which doesn’t necessarily look good when compared to competing cases such as the Incipio Offgrid Express ($80), or the Mophie Juice Pack Air ($120), which pack a 3,000 mAh and 2,750 mAh battery respectively. 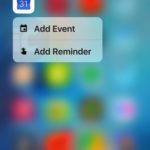 When using the Smart Battery Case, you’ll see exactly how much juice has left thanks to the intelligent battery status displayed on the iPhone lock screen and Notification Centre. The case is compatible with Lightning accessories, and works with the iPhone Lightning Dock. The Verge has had the opportunity to test it, and the verdict isn’t exactly positive. While the case feels good in the hand, they are unimpressed with that bump on the back. Will nab yourself one or choose from the available third-party battery cases?